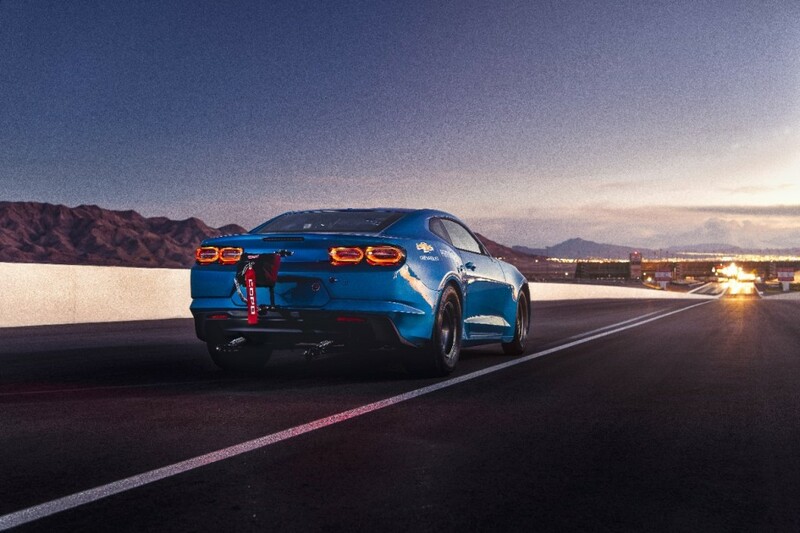 The Chevrolet eCOPO Camaro wowed audiences at the 2018 SEMA show with its fully electric powertrain and promise to bring zero-emissions drag racing to life. 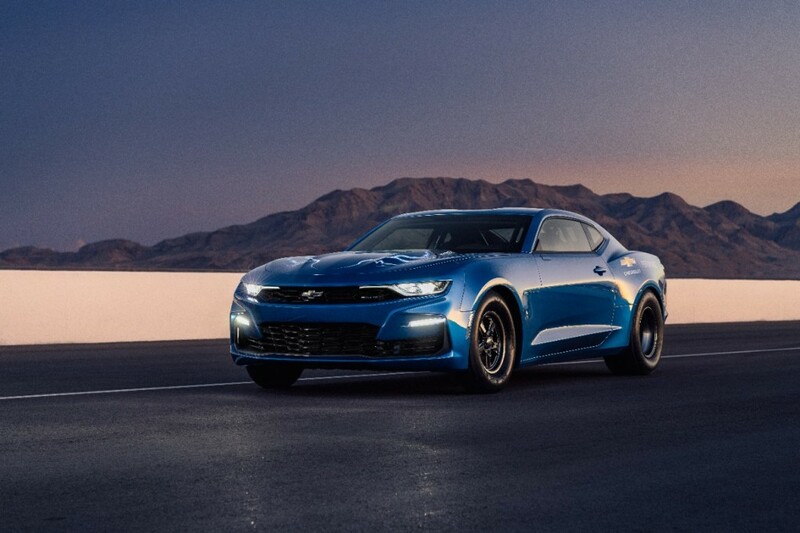 The Camaro team certainly put its money where its mouth is. Motor Trend caught the eCOPO Camaro at its very first time at the drag strip this past Saturday, and it’s safe to say the car can easily run with the biggest and baddest internal-combustion engines. On the car’s first pass down the quarter-mile, it ran a 10.14-second time. Eventually, the crew got the time down to 10.03 at 138 mph. There’s around 800 horsepower on tap via two electric motors and a 32 kWh battery pack. Each motor also makes 317 pound-feet of torque for a total of 634 lb-ft. The motors bolt up directly to the same TH400 three-speed automatic transmission the regular COPO uses, too. The battery pack of the electric COPO Camaro Concept is composed of four 200-volt modules, each weighing approximately 175 pounds, or 700 lbs total. Chevrolet worked to strategically place the battery packs around the car for ideal weight distribution, too. Two of them are where the rear seats once resided, and the other two sit in the trunk. One is where the spare tire normally sits, and one resides over the rear axle. The project was a labor of love between General Motors and McCue & Lane Electric Race Cars. GM designed the battery and motors, and the electric-car race shop integrated the powertrain. In the end, they created a silent drag-strip ripping machine. Chevy thinks it’s capable of clocking 9-second passes in the quarter-mile, which is Dodge Challenger Demon territory. Oh, and it will do plenty of smokey burnouts and pop wheelies like it’s nobody’s business. Very cool stuff! Having dabbled a little in brushless RC toys with LiPo batteries I certainly know the potential is there. The only thing I am confused about with this is why they needed to engineer electric motors that need a traditional 3-speed transmission. I would have thought they could get away with direct drive, or at the very least a 2-speed. NO SOUND TO ELECTRIC DRAG CARS MEANS NO FANS. THIS WILL KILL NHRA. So people only attend drag races to listen to the noise and not to watch cars race each other. Got it. How fast is it in reverse thou?